There are thriving communities that exist well outside of restrictive images of what Muslims should look like or be like, and many of those communities are part of the larger Muslim community here on campus as well — and we are better with them. When Amma Sarkodee-Adoo moved from a small town in Arizona to Berkeley, she decided to find out what activism looked like in this community. With very few people from her high school around her, she realized she wanted to support people who are unfamiliar with the community when they arrive and those who struggle at UC Berkeley. The ASUC Senate met for its weekly meeting Wednesday night to hear updates on campus transportation funding and new campus policies on smoking, as well as to finalize appointments for next year’s internal positions. The 2019 ASUC elections offer students the opportunity to vote for candidates and also the chance to vote on three referendums: the Student Basic Needs Referendum, the Transfer Remedy Act and the Arts, Music and Programming Initiative. 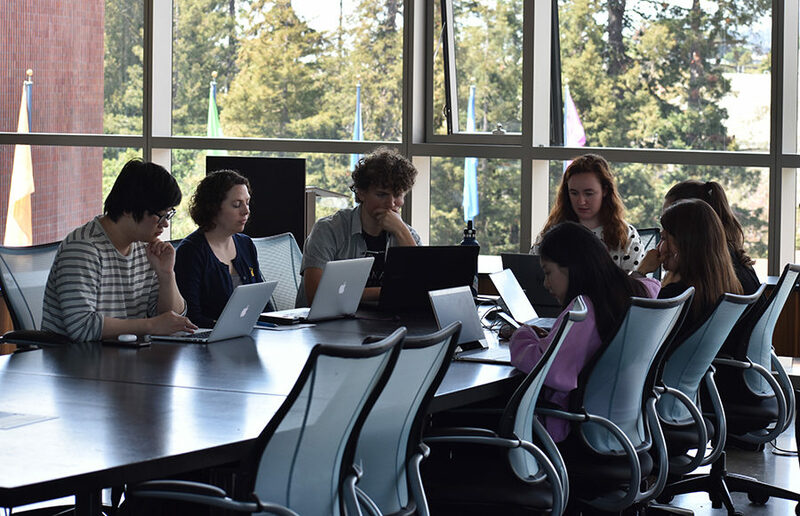 ASUC senators narrowly voted to place the Transfer Referendum on the 2019 ASUC elections ballot during a special meeting Thursday evening. A UC Berkeley undergraduate student’s tweet criticizing electrical engineering and computer sciences, or EECS, professor Anant Sahai recently gained traction among the campus community, raising questions regarding the pressure and high expectations computer science students face.